What if the princess was the villain? Light-years apart, on two very different worlds, live two people whose futures are on a collision course. Alleira is an orphaned princess in a land where kings and lords rule, crossbows are a recent invention, and giant birds are the fastest means of transportation. Tralin is a member of the council which governs the Confederation of Velaxia (a coalition of seventeen planets) and monitors Alleira’s home planet, Arra. When Alleira is crowned and a neighboring kingdom appears to threaten war, Tralin is sent to defuse the situation. While he is en route, however, something happens to Alleira; she becomes a heartless tyrant, stealing, lying, and killing on a whim. When she comes to herself, she is heartbroken and nearly hopeless. Can Tralin find her, tell her of the King’s love and forgiveness, and help her restore peace before whatever drove her to such deeds takes hold of her again? And even if that is accomplished, can they then overthrow the man who really controls the Confederation before he destroys all of the followers of the King? Click here to get the Kindle edition on Amazon. "The future is never certain. All we can do is hope. That's all that ever keeps anyone going. Hope." 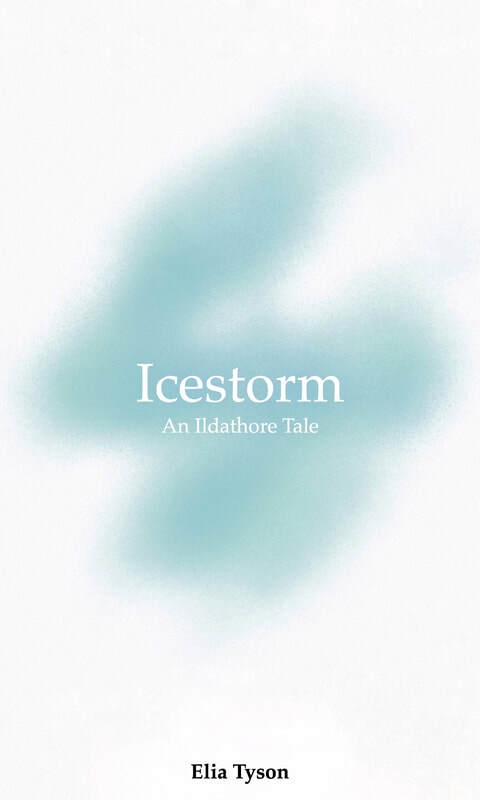 Icestrom is a series of short stories that I published on The Flabbit Room's blog. I've been writing a lot of first person sci-fi lately, so I decided to push myself out of my comfort zone and write a third person fairy tale. As I told one of my friends, though, I'm enjoying it so much, I may have inadvertently created a new comfort zone. ​Click here to read the series on the blog (make sure to start with part one), or download the PDF below.